Popular West Village vegan spot by CHLOE. has expanded. The newest location is in the Flatiron District and boasts a similar menu of meat-free goodness as that at the original outpost. by CHLOE., 60 W. 22nd St., New York, NY 10010, No phone. French chef Joël Robuchon will open a branch of his fine dining concept Joël Robuchon Restaurant at luxury residential tower One Hundred East Fifty Third Street. The space will also include a gourmet marketplace. The opening is scheduled for late 2017. 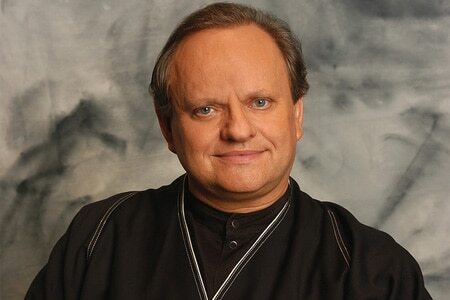 Joël Robuchon Restaurant, One Hundred East Fifty Third Street, 100 E. 53rd St., New York, NY 10022, no phone. Chef Marco Canora has converted his East Village wine bar Fifty Paces (and the original Terroir before that) into Zadie's Oyster Bar, a diminutive spot for bivalves and beverages. Zadie's Oyster Room, 413 E. 12th St., New York, NY 10009, 646-602-1300. Claus Meyer's upscale Scandinavian-themed restaurant Agern has opened in Grand Central Terminal. Icelandic chef Gunnar Gislason is the top toque, serving up dishes like beef heart and salt and ash baked beet root, among others. Diners have the option at lunch and dinner to choose between à la carte items and a few different tasting menus. Agern, Grand Central Terminal, 89 E. 42nd St., New York, NY 10017, 646-568-4018. Celebrity chef Carla Hall's much anticipated restaurant, Carla Hall's Southern Kitchen, has finally opened in Red Hook, Brooklyn. The place’s signature dish is hot chicken where guests can name their spice level. The hottest is called "Bookshakalaka." Carla Hall's Southern Kitchen, 115 Columbia St., Brooklyn, NY 11201, 718-855-4668. Café Medi is the new restaurant in Hotel on Rivington. The Lower East Side eatery serves up a menu of northern Mediterranean delights, including fresh takes on the cuisines of Spain, France and Italy. 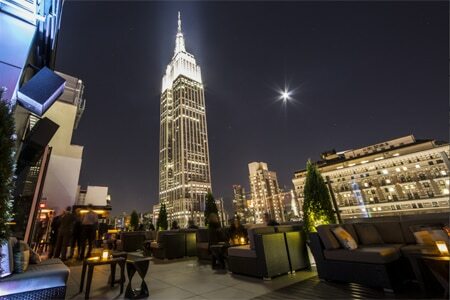 Café Medi, Hotel on Rivington, 107 Rivington St., New York, NY 10002, 212-796-8040. Chicago-native Daniel Rose, who has made a name for himself in Paris with Spring and La Bourse et La Vie, has opened Le Coucou in the 11 Howard hotel in SoHo. The project is a collaboration with restaurateur Stephen Starr. Le Coucou, 11 Howard, 138 Lafayette St., New York, NY 10013, 212-271-4252. The 20-year-old Blue Water Grill, anchored at Union Square West, will pull in its reel on July 10, 2016, and dock itself for a million-dollar renovation. The restaurant will reopen sometime in autumn. Blue Water Grill, 31 Union Square W., New York, NY 10003, 212-675-9500. New York State lawmakers have repealed an archaic law from the 1930s about restaurants serving alcohol before noon on Sundays. 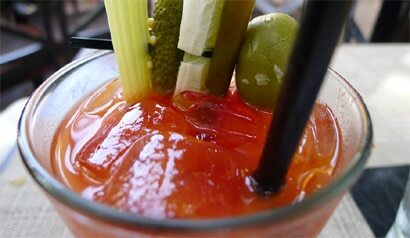 Now Sunday brunchers can turn up at a restaurant before noon and have their mimosas and Bloody Marys. Monarch Rooftop Lounge has a new lunch to go along with the spectacular views. For $19.99, lunchers can get soup or salad plus a choice of one of the many sandwiches, panini, flatbreads or sliders. The Express Lunch is offered from noon to 3 p.m. Monarch Rooftop Lounge, 71 W. 35th St., 18th Floor, New York, NY 10001, 212-630-9993. The Modern, the restaurant located inside MoMA, is shutting down from August 8 to September 14, 2016, for a major revamp. Upon reopening, it will have more of an open kitchen and a chef's counter, among other changes. The Modern, The Museum of Modern Art MoMA, 9 W. 53rd St., New York, NY 10019, 212-333-1220. David Chang's newish Chelsea restaurant, Momofuku Nishi, is now serving weekend brunch. Menu options include a pork and fried egg sandwich and variations on the rice bowl theme, among other dishes. Momofuku Nishi, 232 Eighth Ave., New York, NY 10011, 646-518-1919. Amanda Smeltz, former beverage director at Roberta's, is the new wine director at Boulud Sud and Bar Boulud (1900 Broadway, 212-595-0303). Boulud Sud, 20 W. 64th St., New York, NY 10023, 212-595-1313. Gallic chef Christian Delouvrier, who was last seen in the kitchen of the Upper East Side's La Mangeoire, has come out of retirement to cook at Marjorelle, a French restaurant opening in fall 2016 at The Lowell New York. Majorelle, The Lowell New York, 28 E. 63rd St., New York, NY 10065, no phone. Jason Wagner, who recently worked at Fung Tu, has been hired as the new beverage director at Union Square Cafe ahead of its reopening in a new location (101 E. 19th St.) in October 2016. Chef David Waltuck, late of Chanterelle and most recently Elan, has landed at the Institute of Culinary Education as director of culinary affairs. Institute of Culinary Education, 225 Liberty St., New York, NY 10281, 800-777-2433. Mina Pizarro is the new pastry chef at Midtown favorite Betony. Betony, 41 W. 57th St., New York, NY 10019, 212-465-2400. After more than 40 years in business, the Upper West Side location of Jackson Hole has shut down. The other Manhattan outposts of the mini-chain remain open. Jackson Hole, 517 Columbus Ave., New York, NY 10024, no phone. Open for less than a year, Israeli/Spanish restaurant Combina has shut down. Combina, 330 West Broadway, New York, NY 10013, no phone.